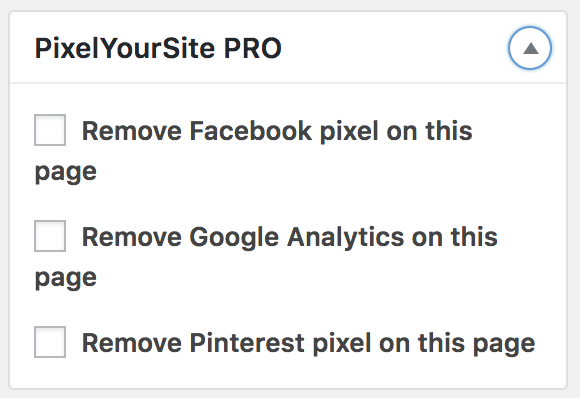 With this add-on active, you can remove each tracking code, the Facebook Pixel, Google Analytics, or the Pinterest Tag, from individual pages, posts or any other custom post types. Edit the page from where you want to remove the code and look for the PixelYourSite option in the right side column. Click to expand. Check the box for the code that you want to remove and Update the page.